Pedro Branco is an engineer, technology entrepreneur, business leader and mentor. He is the founder and Chief Executive Officer(CEO) of a family owned companies’s group, active in the Information Technologies sector and with strong international presence. Pedro owns a Masters’s in Informatics Engineering(M. Sc.) by the Minho University(Portugal). He is or was involved in the coordination activities of several European Space Agency(ESA), European Commission(EC), privately funded and commercial projects.  Virtual Angle BV is the oldest company of the group. Pedro’s activities include not only the company’s daily management but also the management of the subsidiary and sister companies, interaction with public authorities, partners and clients. Under the Pedro’s management Virtual Angle BV become an European Space Agency supplier and 4 companies of the group had or have R&D contracts within FP6, FP7 and H2020 EC Framework Programmes for Rsearch, Technological Development and Innovation. Farmers deal on a daily basics with huge amounts of data which they have to interpret and act in accordance. The Nexlys Lda’s Augmented Reality Assisted Farmer’s Intelligence Toolkit(FIT) is a system designed to support the farmers in their daily operations. FIT aims to take the interaction between the farmers, their plantation fields and the deployed technological resources to a new level. It will deliver intelligence data via an Augmented Reality(AR) display and will allow farmers to interact with operational assets. FIT will provide better, more streamlined crop management; maximize existing investments; reduce operation and management costs; reduce losses; improve profitability and working conditions. The installation, upgrade and operational maintenance of utility infrastructures protection is a global challenge which is continuously growing. The Augmented Reality Assisted System for Utilities Infrastructure Management(AIM) is a system designed to support utility field workers. The AIM platform integrates different technologies such as: positioning and sensors(GNSS), Augmented Reality(AR), Geographical Information Systems(GIS) and 3D databases. In practise, this system will guide the field workers in underground and building utilities to ‘see’ what is happening under the ground, floor and behind the walls, like an “x-ray image” of the infrastructure. Universidad de Las Palmas de Gran Canaria; Fundación Canaria de Investigación y Salud; Medtronic Ibérica S. A.; The Imperial College of Science, Technology and Medicine; General Equipment for Medical Imaging, s.a; Universidad Politécnica de Madrid; Association pour la Recherche et le Développement des Méthodes et Processus industriels – ARMINES; University Hospital Southampton NHS Foundation Trust. Starting with some specific types of cancers, this project will try to generalize the methodology to discriminate between healthy and malignant tissues in real-time during surgical procedures. Using the hyperspectral signatures of the healthy tissues and the same tissues affected by cancer, a mathematical model of how cancer affects to the hyperspectral signature will be derived. General Equipment for Medical Imaging; s.a, Consejo Superior de Investigaciones Científicas; Instituto de Biomecánica de Valencia; UK Health and Environment Research Institute; Statice SAS; Stichting Het Nederlands Kanker Instituut – Antoni van Leeuwenhoek ziekenhuis. Breast biopsy is an image-guided procedure that can use different imaging technologies. Apart from US-guided biopsy, which is a manual procedure with limited indications, all current solutions are based on discrete scans of static images taken at different steps during the procedure. This guidance method makes current biopsy techniques to be long procedures with limited accuracy. MAMMOCARE project will develop a PEM (Positron Emission Mammography)-guided breast biopsy system allowing real-time 3D visualization of the lesion and real-time guidance with continuous monitoring of both, lesion position and needle motion. The purpose of the software PAROS 2.0 that ESA/EAC is to process all requests for the public appearance of an ESA/EAC Staff. This includes the members of the ESA Astronaut Corps and the ESA staff member located at EAC. Principal Investigators (PI) of small and medium sized space and earth sciences missions face many challenges during formulation, design, development, integration and test, launch and operations; these challenges may be more easily met by a market based system, bases in auction theory. This system solves, among others, resources allocation problems, removes the need for multiple meetings and appeals, move the decision making process back to the individuals that have the information, namely the users. The HorizoN DVR (Distributed Virtual Reality) software, developed by DigiUtopikA Unipessoal Lda. (Portugal), integrates virtual reality and networking and allows a simulated world to run not in one computer system, but in several. The purpose of this software is to make possible the connection of several computers over a network (possibly the global Internet), so that the users may have the possibility to interact in real time, sharing the same virtual world. HorizoN IAD (Interactive Agents Database), developed by DigiUtopikA Unipessoal Lda. (Portugal), is a standard tool for connecting several computer-based simulation systems so that they can run together and exchange information. Instead of building a big monolithic simulation system from scratch, the HorizoN IAD allows you to combine existing simulation systems with new systems. The NISIM Research Unit is a DigiUtopikA Unipessoal Lda. (Portugal) department that conducts research and development activities in the sectors of Software, Human – Machine Interaction and Multimedia. The main technical, organisational and scientific areas of expertise, for the creation and development of the NISIM are Software Engineering, specially in the areas of multimedia and innovation management. The DigiUtopikA Unipessoal Lda. (Portugal) NISIM Research Unit aims to explore synergies and the multidisciplinary perspectives delineated under the subject “Man-Machine Interaction”, more specifically Interactive Graphical Computation, Multimedia, Cooperative Work, Intelligent and Multi-modal Interfaces, Accessibility, Ergonomics, Cognition and Interaction. Institut de Física Corpuscular, Valencia, Spain (Project Coordinator ); C-Rad,Uppsala, Sweden; Fraunhofer IIS, Erlanger, Germany; ONCOVISION (GEM-Imaging SA), Valencia, Spain; Karolinska Instituet, Stockholm, Sweden; Netherlands Cancer Institute, Amsterdam, Holland; Technischen Universitat München, Munich, Germany. The objectives of the MAMMI project are the development of innovative prototypes of a PET (Positron Emission Tomography) and SPECT (Single-Photon Emission Computed Tomography) cameras, with improved resolution and sensitivity, for breast cancer diagnosis and monitoring the therapy and the development of new radiopharmaceuticals specific for breast cancer and to validate those prototypes and the new molecules with clinical trials at various university hospitals, partners of the consortium. VASER – Visual Awareness System for Emergency Response – is a Project co-ordinated by DigiUtopikA Unipessoal Lda. (Portugal) and launched by the Galileo Joint Undertaking through EU 6FP funds. This project is aimed to the application of advanced technologies to critical fields including disaster management and emergency response. CADPIPE project is targeting to an, as automatic as possible, production chain for at least three most common CAD file formats. The production pipes ends each up to most standard, visually powerful file format ready to shoot by 3D engines. This problem in real-time rendering is world wide and to solve it’s enigmas is not possible without the wide European co-operation of the domain. The definition and design concept for a medical survey system, to be used in a closed manned habitat (the Concordia Antarctic station) during long-term stays is developed in this project. After an in-depth study of medical parameters proposed in the project definition, the most appropriate instrumentation techniques and sensing technologies were selected for the application. This selection was made in base of several criteria including long-term usability, comfort, invasiveness, robustness, size and consumption. With the SHADE project, TeleConsult Austria, Telespazio and DigiUtopikA are addressing novel applications in the non-transport sector that improve availability of continuous positioning solutions in dense urban and indoor environment. Thus, SHADE provides safety and security enhancements for personal mobility applications. The ultimate objective is to have the proposed applications ready for operational exploitation in parallel with the introduction of the advanced European navigation satellite infrastructures (EGNOS and Galileo) in the time frame 2004 to 2008. The key-objective of WICOR was to design and develop a multifunctional ‘black-box’ that consists of an intelligent user terminal router and provide interfaces to multiple communication systems. SatCom, GSM/GPRS, and WLAN were considered. The ‘black box’ also incorporates a positioning capability (GPS). The core element of this ‘black-box’ is a processor with dedicated software to manage the overall system. Personnel Information Security Administration – is an information system which supports the handling of the request procedure related to obtaining personnel security clearances for staff and contractors, as well as for the related administrative follow up and verifications of validity. Virtual Clinic is a medical software developed according to the physician’s and patient’s needs. In order to improve care deliver, this tool includes a patient management module, a practice management software and a user management sections. European Space Agency(Security Office), Teclys Ltd., Bluecom Consulting Ltd., Virtual Angle BV, Oblique Systems Lda. The HorizoN Scene Graph SDK from DigiUtopikA Unipessoal Lda. (Portugal) is a powerful object-oriented developer toolkit that reduces development time and accelerates the performance of interactive real-time visual simulation and 3D graphics application. ERTICO – ITS Europe wasfounded at the initiative of leading members of the European Commission, Ministries of Transport and the European Industry. ERTICO is the network of Intelligent Transport Systems and Services stakeholders in Europe. It connects public authorities, industry players, infrastructure operators, users, national ITS associations and other organisations together. Oregin’s mission is to back up the Galileo Programme right from the definition phase in order to obtain early operational benefits and standardise Galileo-based products. Net!Works is the European Technology Platform for communications networks and services. Satélites. Empresas portuguesas ganham dois “óscares do espaço” (Satellites. Portuguese companies won two space’s Oscars). VASER is aimed to the application of advanced technologies to critical fields including disaster management and emergency response. Windows, Unix/Linux, Irix, Mac OS X, Android. PenGL, OpenGL, Optimizer, Cosmo3D, VRML, Vulkan, OpenGL ES, Web GL, Flashwave, Director. MS SQL, MySQL, NoSQL, Informix, Oracle. Spain, Italy, United Kingdom, Germany, Austria, Finland, The Netherlands, Belgium, France.